Head lice are small (the size of a sesame seed), usually tan to grayish-white colored insects that live and reproduce in the hair on human heads. Head lice feed on human blood and do not survive very long (usually less than 1-2 days) when not on a person. Head lice can be found on the head, eyebrows, and eyelashes of people. 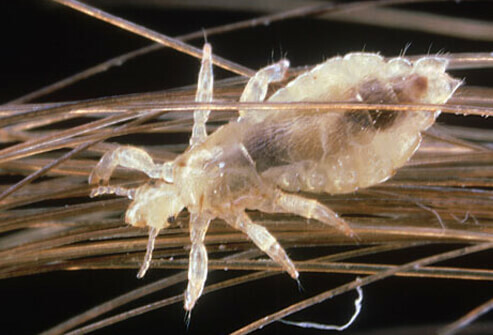 Head lice are not known to spread diseases. 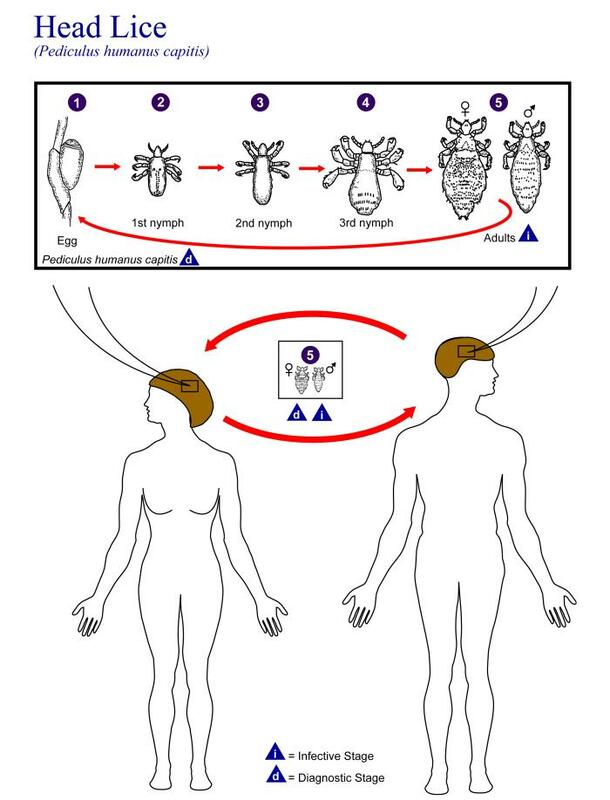 Head lice have three forms: the egg (nit), nymph, and adult. A nymph hatches from a nit, and develops into an adult. The reactions to or results of louse feedings may be the first symptoms noted. Bites can cause itching at the feeding sites. Scratching may break the skin and lead to skin infections. A tickling feeling of something moving in the hair. Head lice are most active in the dark, so irritability and difficulty sleeping can also be symptoms. 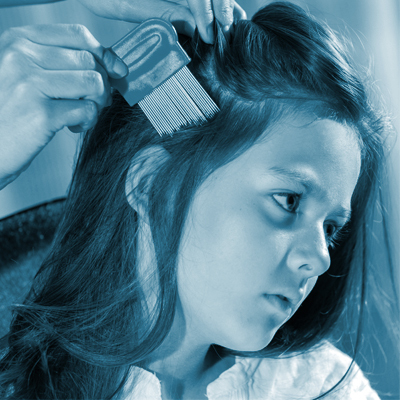 The most common way to get head lice is head-to-head contact with someone already infested. 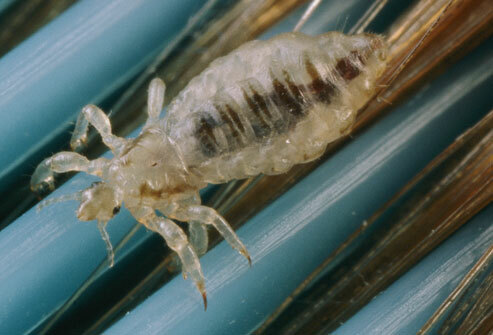 Head lice move by crawling; they cannot hop or fly from one person to another. Indirect spread through contact with personal belongings of an infested person (combs, brushes, hats) is much less likely, but may occur rarely. Infestations are most common among preschool and elementary school-aged children as well as the household members of infested children. 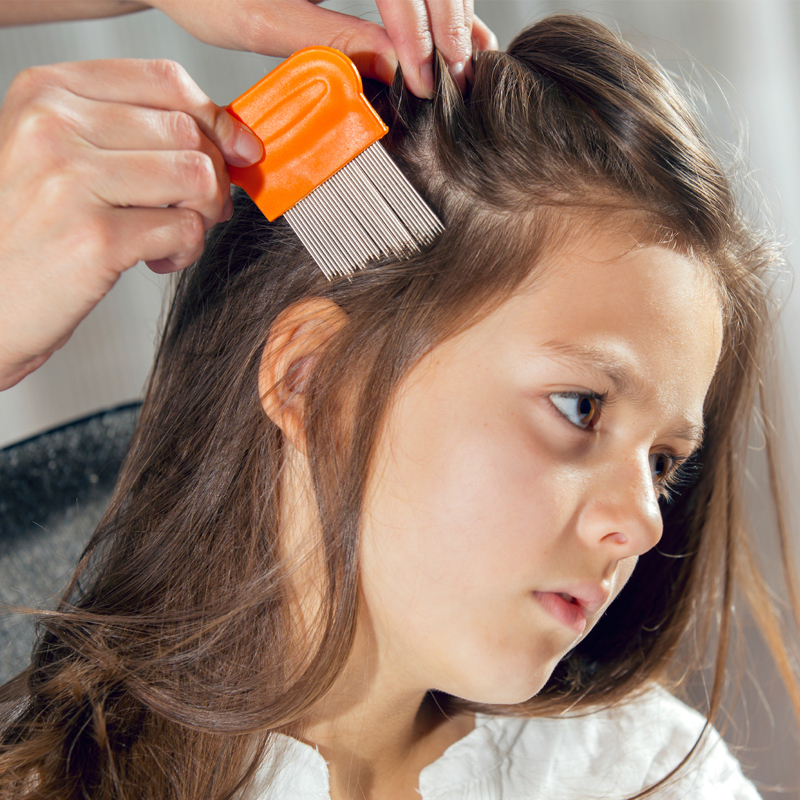 Personal hygiene or cleanliness in the home or school has nothing to do with getting head lice. There is no laboratory test to confirm head lice. 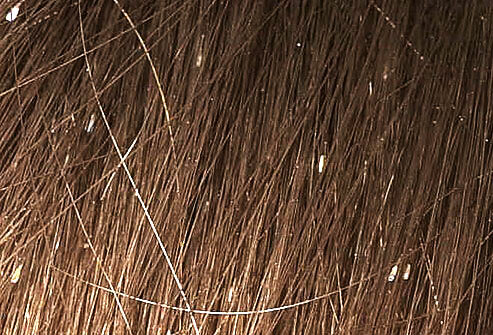 Head lice can be diagnosed by finding a live nymph or adult louse on the scalp or hair of a person. Because they move very quickly and avoid light, they may be difficult to find. You may be able to find nits about ¼ inch from the base of the hairs, but that does not confirm an infestation or require treatment. Treatment is recommended for persons diagnosed with an active infestation. Both over-the-counter and prescription medications are available for the treatment of head lice. Tips and helpful information on treatment and prevention of head lice can be found in the Hawaii State Department of Health Public Health Nursing Preventing and Treating Ukus Brochure. 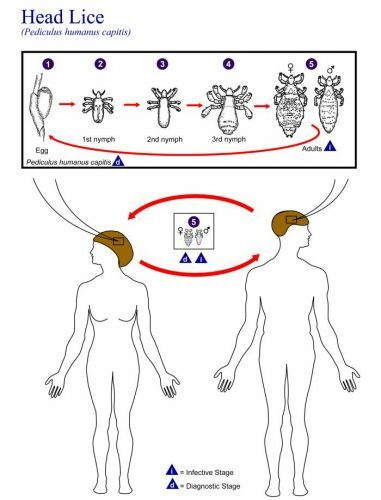 There is no immunity to head lice. There are no statistics on how many people have been infected with head lice in Hawaii. In the United States, an estimated 6 to 12 million infestations occur each year among children 3 to 11 years of age. Reduce the risk of catching head lice by avoiding both direct head-to-head contact and sharing of clothing or items such as hats, hair ribbons, brushes, towels, etc. Students with live head lice do not need to be sent home early from school. “No-nit” policies that require a child to be free of nits before they can return to school should be discontinued. Instead, a student should finish the school day, receive appropriate treatment, and then return to school. No healthy child should be excluded from or allowed to miss school time because of head lice. Please call your child’s school regarding their policy for head lice.